(CNN) - With the Shenzhou-9 touching down in China Friday, expect the inevitable wave of propaganda touting its "model" citizens and scientific might. And what a mighty week it has been. 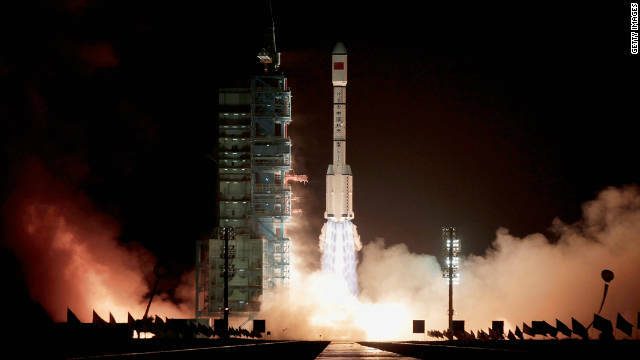 China has witnessed the return of a manned spacecraft that successfully docked with the Tiangong 1 space lab - a first for the nation. China is also still on a high after the deep-sea diving record set on Sunday by a Chinese manned submersible in the Pacific Ocean's Mariana Trench. And while China's achievements in sea and space are impressive, do they stir more than just national pride? The Shenzhou-9 may be a stellar status symbol for Beijing but is it awakening a real hunger for adventure among the Chinese people?